Yesterday a group of local fiber friends gathered for our last holiday party. Now that it is over the New Year has finally begun for me. I guess this was a way to postpone starting to work again. I probably feel like the kids do when they are returning to school after holiday break, ready to work but sad the holidays are now behind me. 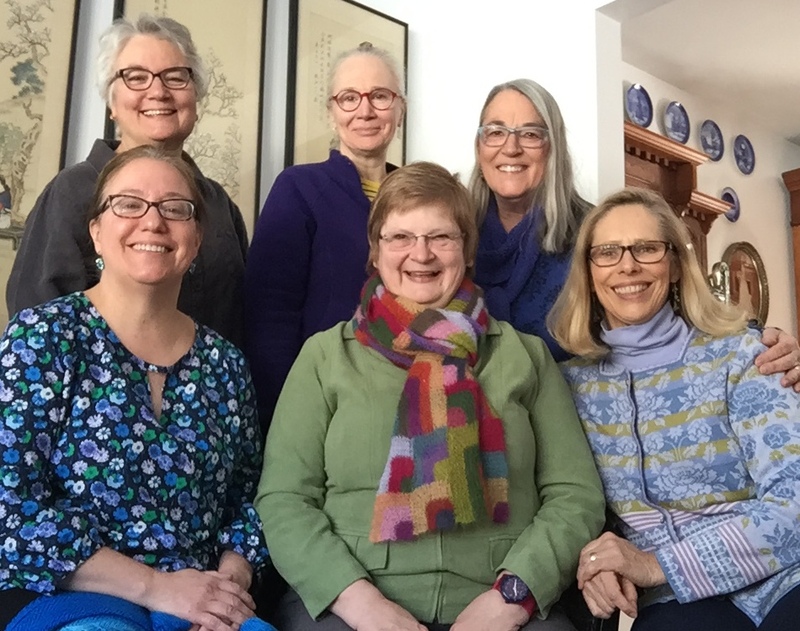 Laura Wasilowski, Jane Sassaman, Grelt Kramer, Emily Parson, Barb Vlack. This year we gathered at my house. We move the gathering from year to year to different people’s houses and that makes for a fun variety. I served white chili and corn bread. My mother was a southern gal and cornbread is a staple of life in the south. I loved having it, I’m not sure everyone else did, but I sure did. It has been over a year since I had a “formal” sit down anything and I had to look it up to make sure which side of the plate was correct for which piece of silverware to be placed! I certainly set my table every night when I serve dinner for my husband and I but I just put all the silverware on the napkin on one side of the plate. Very sad state of affairs to have to look it up on the internet to see which side is the “correct” side. One of the guests suggested I should have just said this is the way my family has always done it and not blinked an eye. Good thought for next time. In prepping for the party I had to vacuum everywhere. It is one of the reason’s I don’t entertain as much as I should I feel the house must be perfect. I MUST get over this. So I tidied up my studio too in case anyone came down to investigate. Vacuuming the studio makes for lots of mess in the vacuum cleaner. 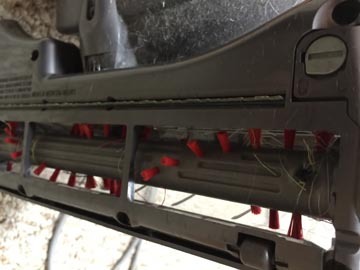 How often do you clean this mess out? 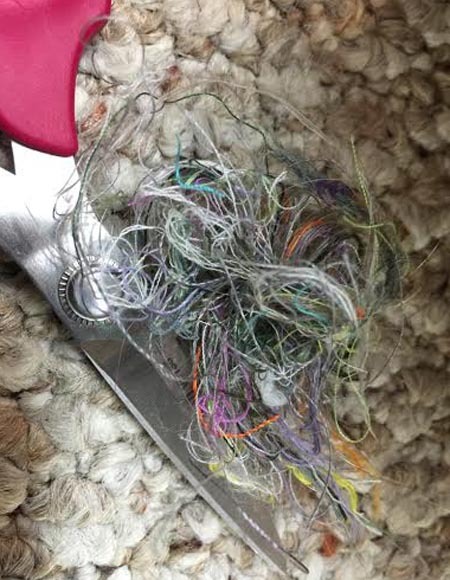 I try to do it often but just look at all that thread. Don’t forget about my SALE on the website. Enter the code 2016 to get 16% off of all my products items this month. Treat yourself to something you’ve wanted, while it is on sale.